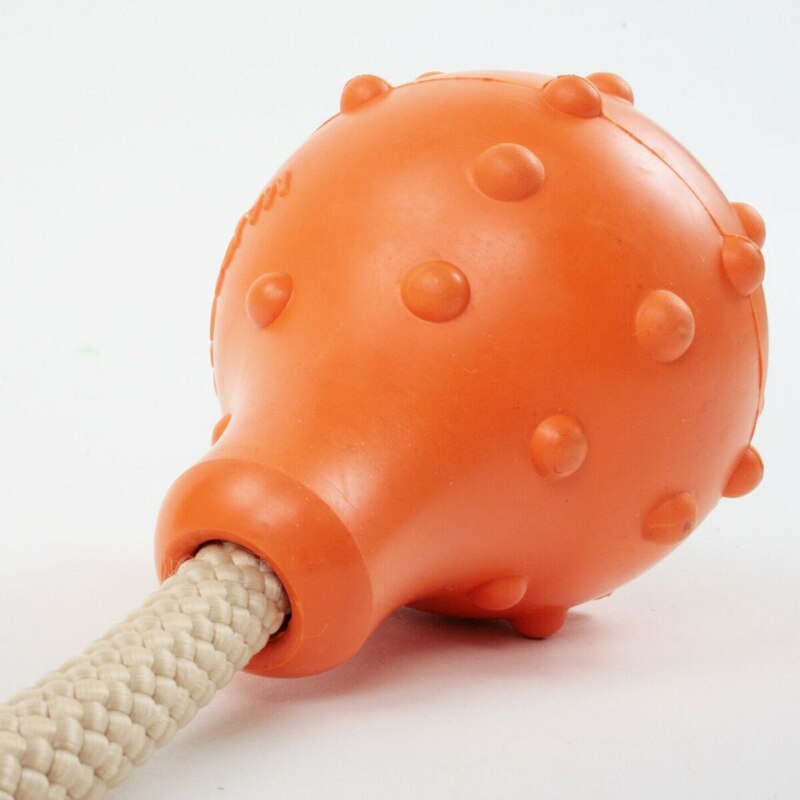 The Swimming Eddy Dog Toy is the first Major Dog item made from natural rubber, which floats on the water. 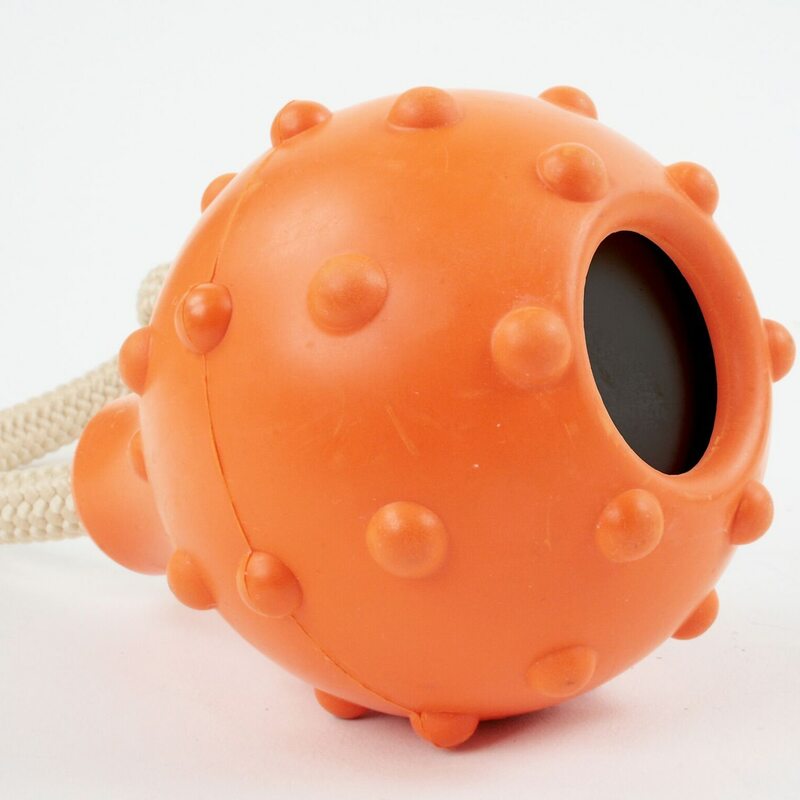 It was developed especially for fun-filled fetch training in the water. 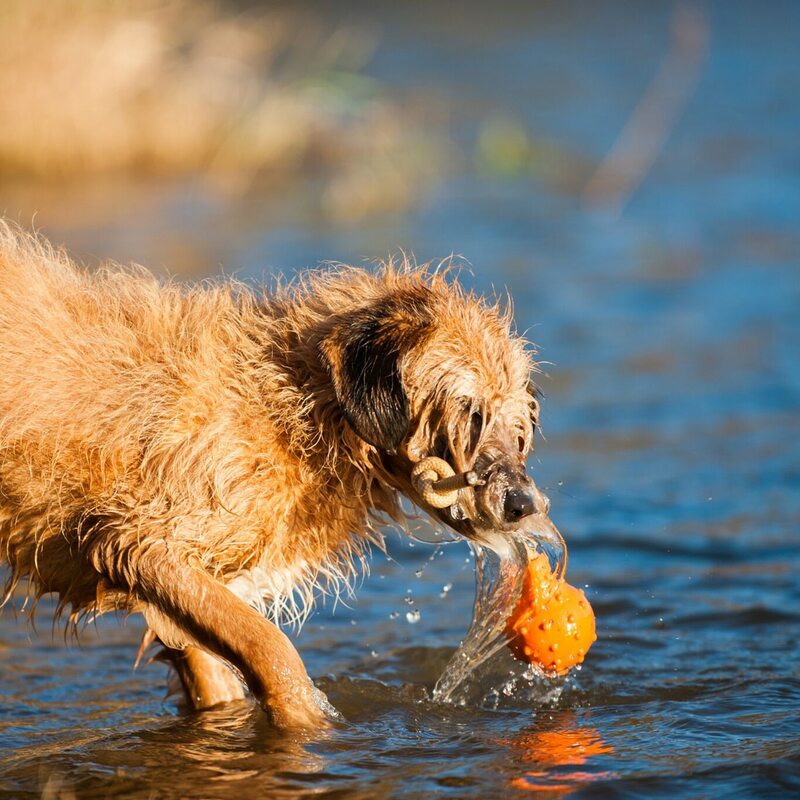 This dummy is easy to find in water for swimming dogs thanks to its shape. 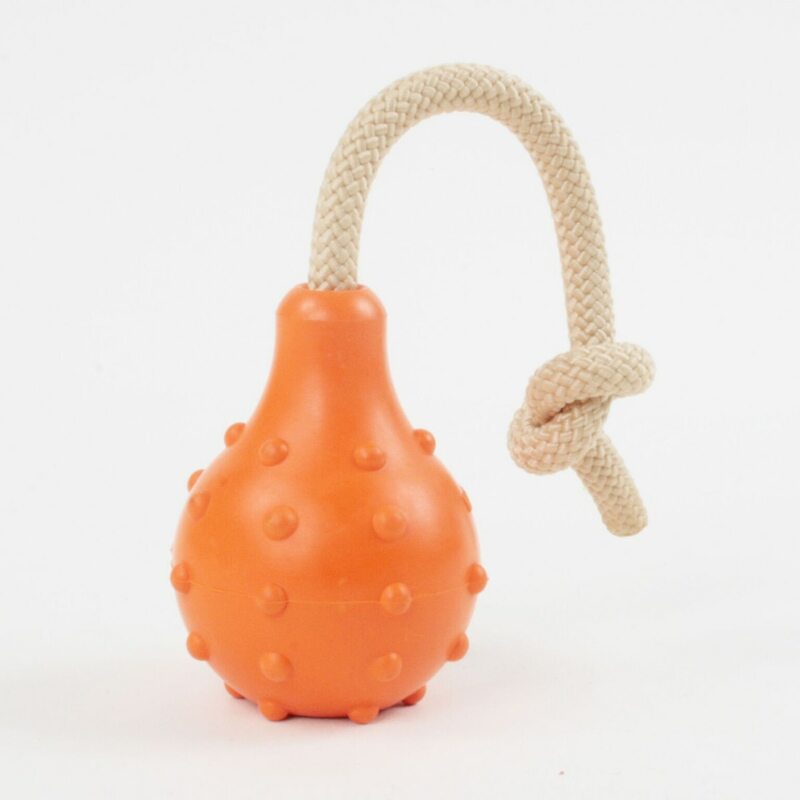 The attached cord enables you to throw it far. Floats - great for water play!